First published in 1887. 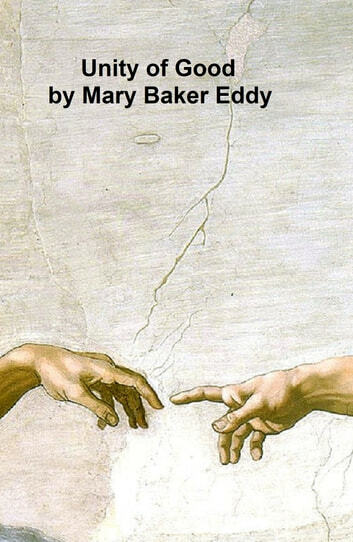 According to Wikipedia: "Mary Baker Eddy (born Mary Morse Baker July 16, 1821 December 3, 1910) was the founder of the Christian Science movement. Deeply religious, she advocated Christian Science as a spiritual practical solution to health and moral issues. She wrote Science and Health with Key to the Scriptures, founded The First Church of Christ, Scientist of Boston in 1879, and several periodicals including The Christian Science Monitor. She took the name Mary Baker Glover from her first marriage and was also known as Mary Baker Glover Eddy or Mary Baker G. Eddy from her third marriage. She did much spiritual teaching, lecturing, and instantaneous healing. Her influence continues to grow through her writings."